Please make sure you select the correct freight option for your delivery address. (ie: If you have a rural address, please select the "rural option") if you do not, this will make a delay in you receiving your goods. For New Zealand orders, we use a company called Courierit. 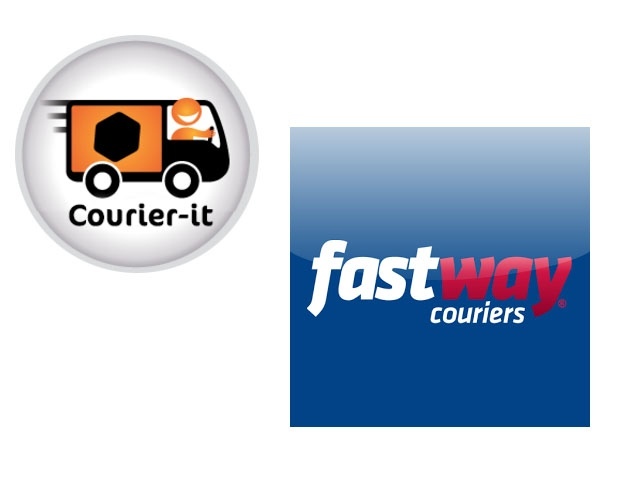 Courierit works with Fastway Couriers, which provides a top-quality, reliable, courier service. Freight to North Island & South Island is $7.50, North Island & South Island Rural is $11.50. All parcels are tracked and traced throughout New Zealand. Orders are processed within 24 hours, pending payment confirmation. Please make sure you use a daytime delivery address, as all parcels require a signature. Delivery to P O BOX or Private Bag addresses are not available. If you are using a work address, please include the company name. If you choose to "pick up" your order, it will be ready straight away, at the counter. If you are unable to accept your delivery in person, you can state (ATL). This provides the courier driver to have the authority to leave without a signature and nominate a safe place for them to leave your parcel. Please put this info in "special delivery instructions" when you check out. Delivery to the main centres in the North Island, is overnight (orders must be placed before 2pm), or allow 1-2 days outside this area. Delivery to the South Island takes 2-3 days. Rural delivery North Island approx 4 days, South Island approx 5 days. Orders placed over the weekend or on public holidays will be processed on the next working day. You can track your item every step of the way with "Online Tracking". You will be sent a tracking link when your parcel has been dispatched from our store. For "internet banking" orders, payment must be made within two days, or else your order will be cancelled. All Australian orders are sent via DHL Express, using a track and trace service. Your order must include a phone number (preferably mobile phone number). This enables the parcel to be tracked by you all the way. If this is not included, there will be a delay in processing your order. If your order is going to a work address, please include the business name. Orders will be processed within 24 hours, pending payment confirmation. DHL will endeavour to deliver metropolitan area orders within 3 -4 business days of payment confirmation. This does not include any delay during customs. Please note that we do not have control over any custom or import duties that could be levied when the parcel reaches Australia and for which you will be liable. The shipping prices cover most purchases, however we (Sports Safari) reserve the right to charge extra as applicable on any oversized/heavy products. Orders placed before 11am NZ time, will go out the same day, otherwise the following business day. Orders made on a Saturday, Sunday or public holiday, will be dispatched on the next business day. Delivery to P O BOX, Private Bag or rural addresses are not available. We only accept credit card for Australian orders. At this stage, we do not ship outside of NZ & Australia.